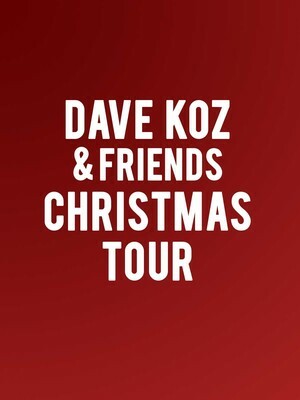 Give the gift of smooth jazz this Christmas, Dave Koz is hitting the road on his annual festive tour and bringing along a few friends for the merry ride! Now celebrating its 17th anniversary, the special concert tour has been described as a must see holiday show for all fans of the contemporary jazz and easy listening genres, with holiday classics and carols getting the signature Koz high-energy makeover. 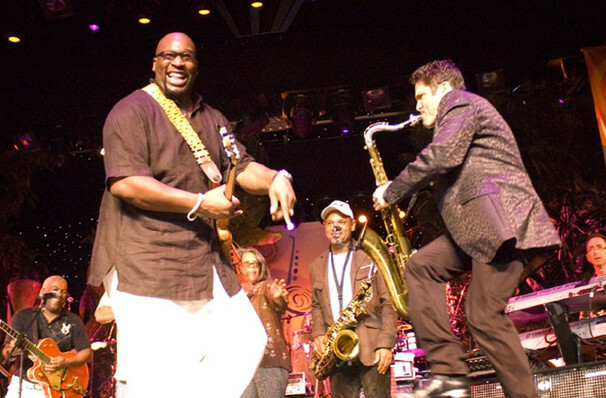 Returning to join the multi Grammy nominated saxophonist for another year of merrymaking will be legendary South African RnB and jazz fusion muso and guitarist Jonathan Butler, as well as sauve romantic crooner Kenny Lattimore and legendary soul songstress Valerie Simpson. Seen Dave Koz? Loved it? Hated it? Sound good to you? Share this page on social media and let your friends know about Dave Koz at Palace Theater. Please note: The term Palace Theater and/or Dave Koz as well as all associated graphics, logos, and/or other trademarks, tradenames or copyrights are the property of the Palace Theater and/or Dave Koz and are used herein for factual descriptive purposes only. We are in no way associated with or authorized by the Palace Theater and/or Dave Koz and neither that entity nor any of its affiliates have licensed or endorsed us to sell tickets, goods and or services in conjunction with their events.